1. GET INVOLVED. We are building our steering crew. Please contact us if you are interested in helping with events, research, grants, fundraising, outreach, book keeping and more. Post and share stories on our face book group- the Charles Van Damme Ferry. or email us below if you have anything to donate. Ideas, photos, stories, money, a home for the wheel. 4.VISIT US AT FLOATING HOME TOUR SAT SEPT 24TH. I was wearing. 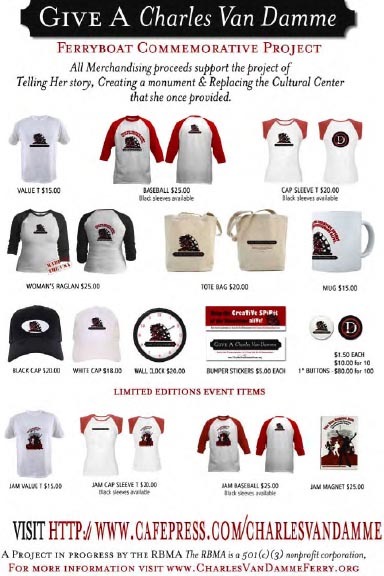 Click here or the picture to buy fund raising merchandise.